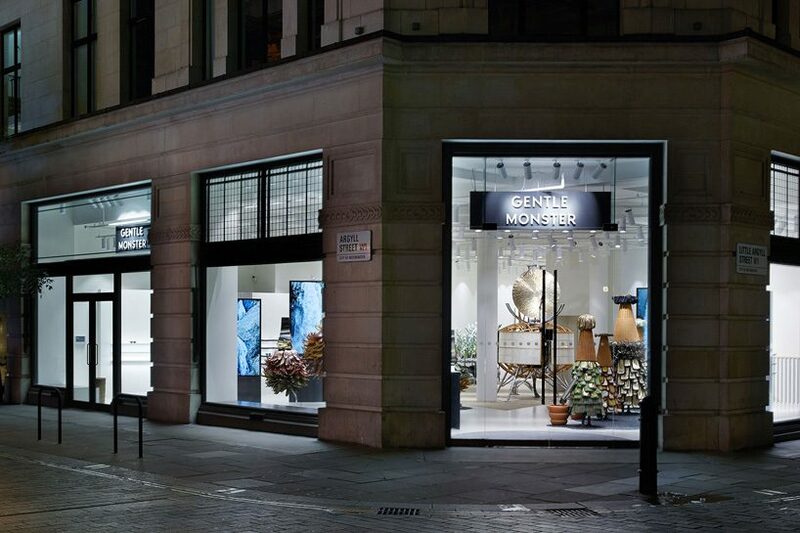 known for its extravagant shop designs and immersive installations, seoul-based eyewear brand gentle monster has now expanded its physical retail to central london. 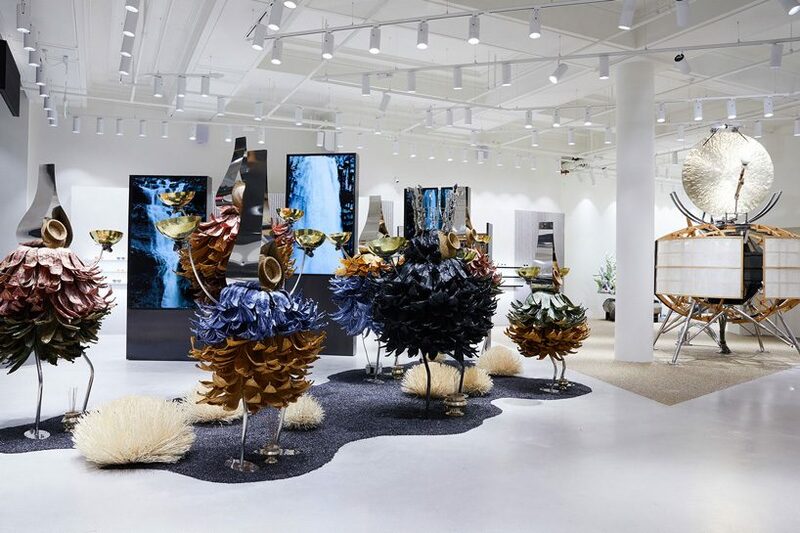 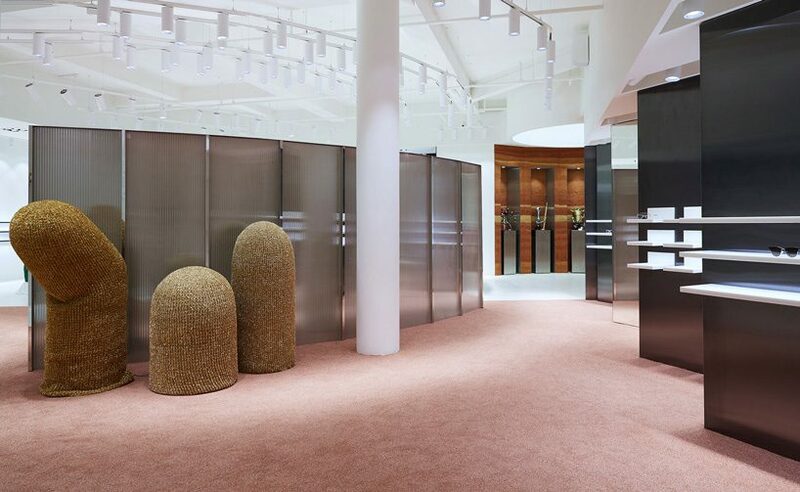 occupying a two-floor space in soho’s argyll street, the store’s design concept involves a multisensory experience that combines influences from the earth practice of kung fu with creatures from outer space. 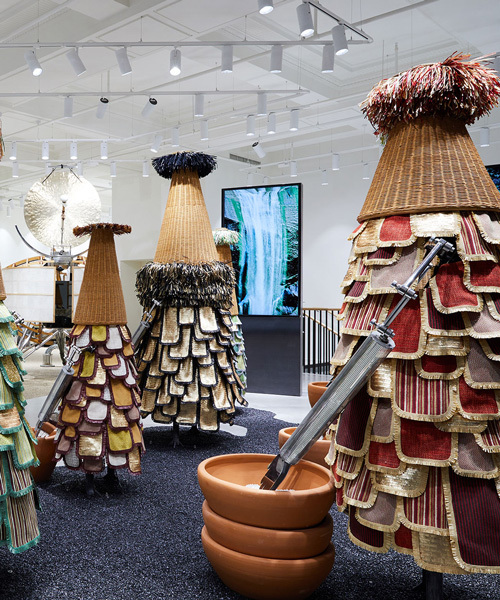 upon entering gentle monster‘s london store, visitors are met with a tribe of extraterrestrial warrior creatures, practicing their martial arts in a sequence of scenes spread across the two floors. 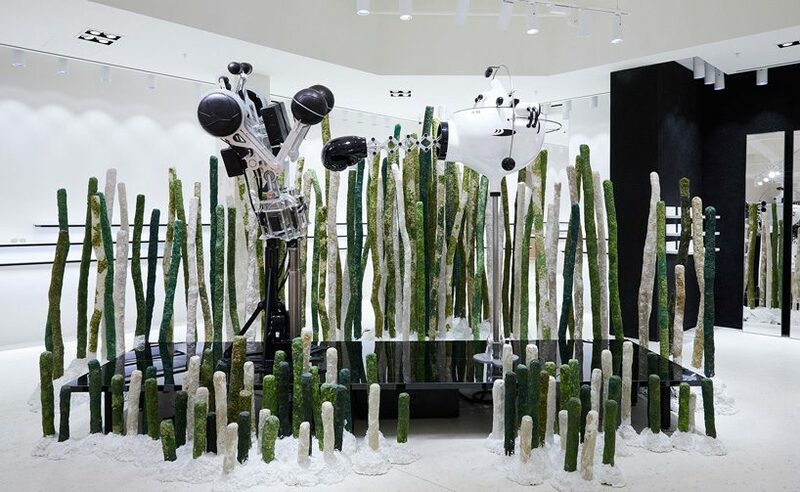 developed by the brand’s in-house team, the interior concept sees the corner of argyll street transformed into a training ground for the alien beings, composed of kinetic installations, digital waterfalls and a ceremonial gong. 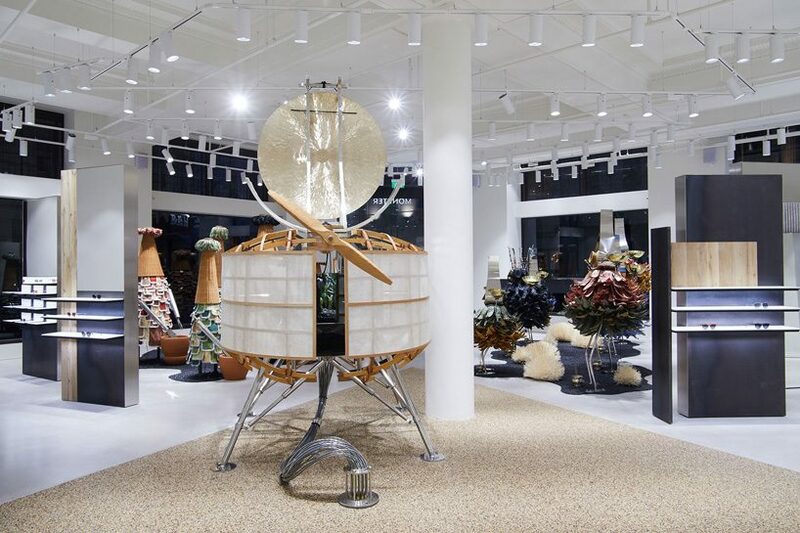 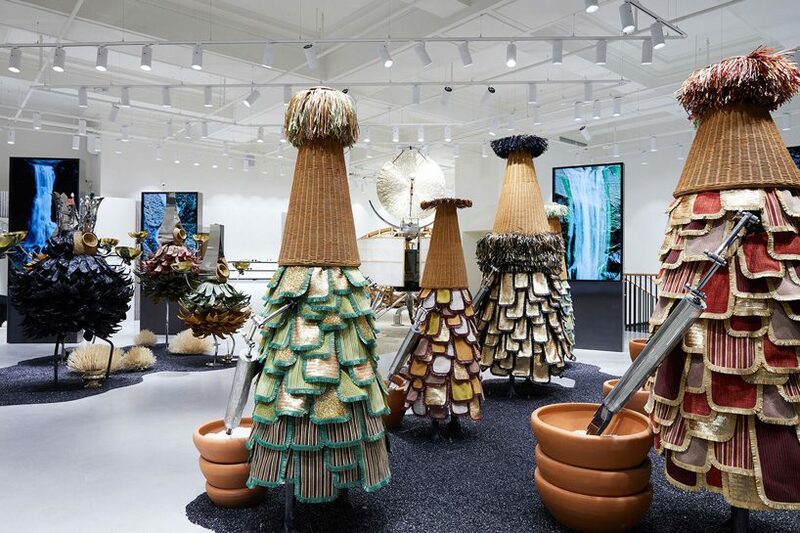 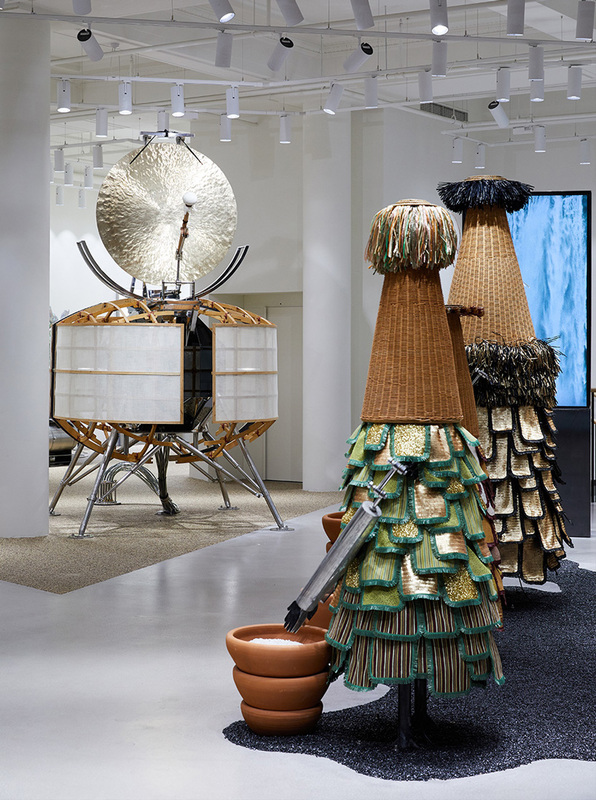 each space in the store captures a unique, multisensory scene where the larger-than-life creatures, made of weaved fabric, raffia, and metal panels, take center stage. 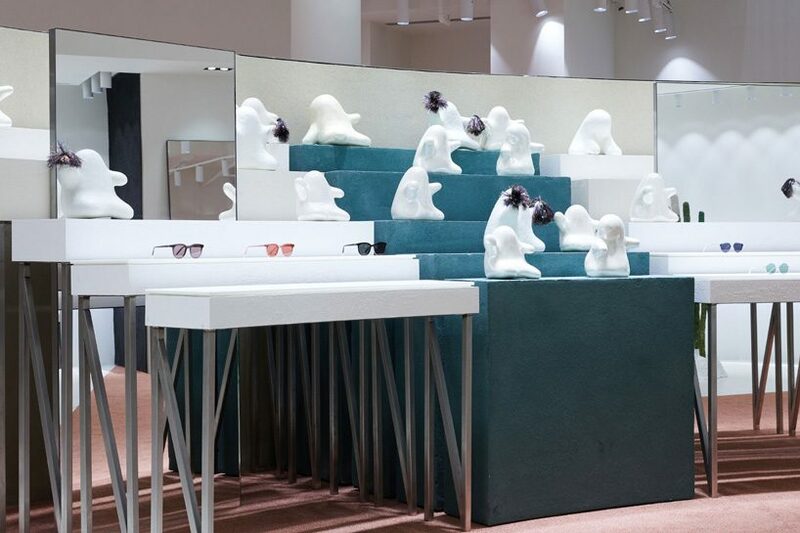 in a much less extravagant manner, the brand’s sunglasses find their way within the alien planet, placed in subtle, geometric displays or among all-white, cheering aliens of miniature sizes with glittering pom poms on their hands.